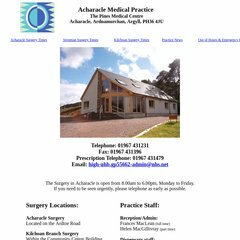 acharaclemedicalpracti.. Further Information about Acharacle Medical Practice at Pines ..
Its IP Number is 62.233.121.30. Its web server is located at Iomart Dc1 Core Network (Scotland, Glasgow.) Its 2 nameservers are ns2.namecity.com, and ns1.namecity.com.